The MacNaughton farm is a third generation family farm established in 1905 by Sidney MacNaughton. 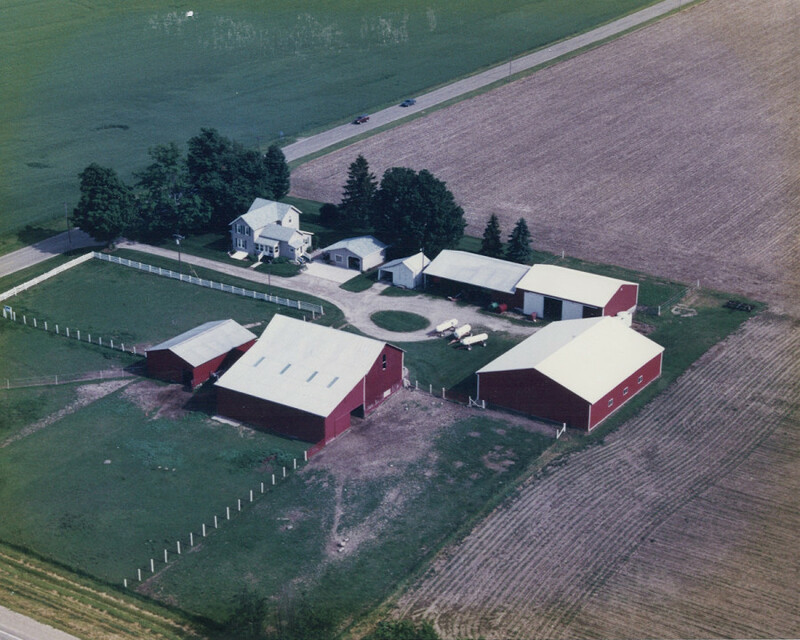 As many farms were in the early 1900’s in Michigan, it focused on dairy cattle and crops. Sidney MacNaughton, Keith MacNaughton and Ron MacNaughton all milked dairy cows and farmed as a family. In 1953 Keith and Ron purchased the first Herefords. 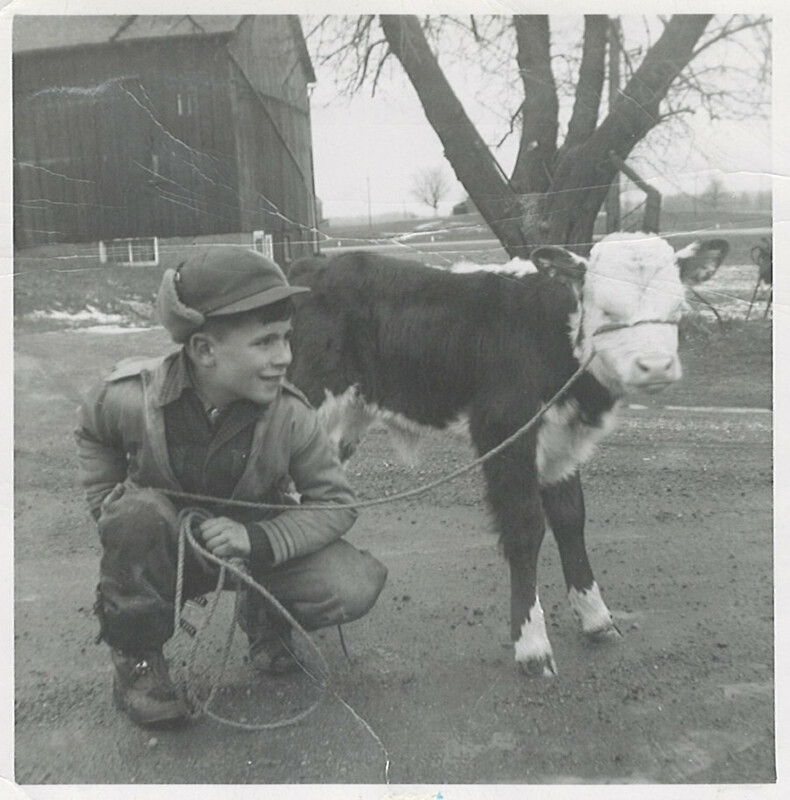 In 1965, Keith and Ron sold the dairy cows and the Herefords took over! Ron took over the farming operation completely in 1983. His son Jeff helped work on the farm while growing up and enjoyed showing Herefords for over 20 years with his parents. Ron and Jill maintain a smaller herd of about 10 cows. They still enjoy showing each year and sell a select few bulls, heifers, and steers. The farm primarily grows corn, soybeans and wheat. Ron & Jill still bale their share of hay and straw every summer as well. The cow herd is selected for disposition and maternal traits to make easy, gentle calves. All the calves are halter broke and ready to show when they are weaned. The farm is located in Grand Ledge, Michigan in Eaton County. They invite you to stop and see the farm as visitors are always welcome!